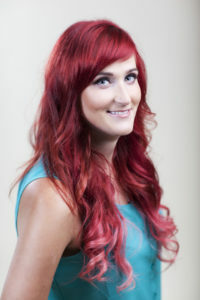 Tarran has had a passion for the hair and beauty industry since a young age. She began her education in 2002, where she graduated Devog beauty school in London, Ontario. In the three years Tarran has been fully licensed, she was nominated as a finalist for the Contessa Awards in both Texture and Avant Garde categories. Tarran was ecstatic when she brought home the trophy for Avant Garde hair stylist of the year in 2013 with her partner Amanda Rendell. Tarran enjoys working with L’Oreal Professionnel color and product line and specializes in the new INOA revolutionary hair color system. Tarran believes in continual education and strives to stay at the forefront of her field while expressing her creativity through her photo shoots. With her exceptional knowledge of new products and services, Tarran is able to provide excellent service to her clientele on a day-to-day basis. She stays up to date on all the latest trends in the industry, which keeps her loyal clients returning. Tarran places high value on communicating with her clients, understanding their needs and respecting their hair and is excited for her future being part of the Taz Hair Co. London location team.